1 x Mini-PCIe socket (Optional support mSATA). Taiwan Commate Computer Inc.(COMMELL), the worldwide leader of Industrial Single Board Computers, launched a Half-Size form factor HE-B71 embedded system board with the Intel® QM87 Express chipset, which adopts the 4th generation Intel® Core™ and Celeron™ Mobile processor family (formerly known as “Haswell”, manufactured on 22nm processor technology). 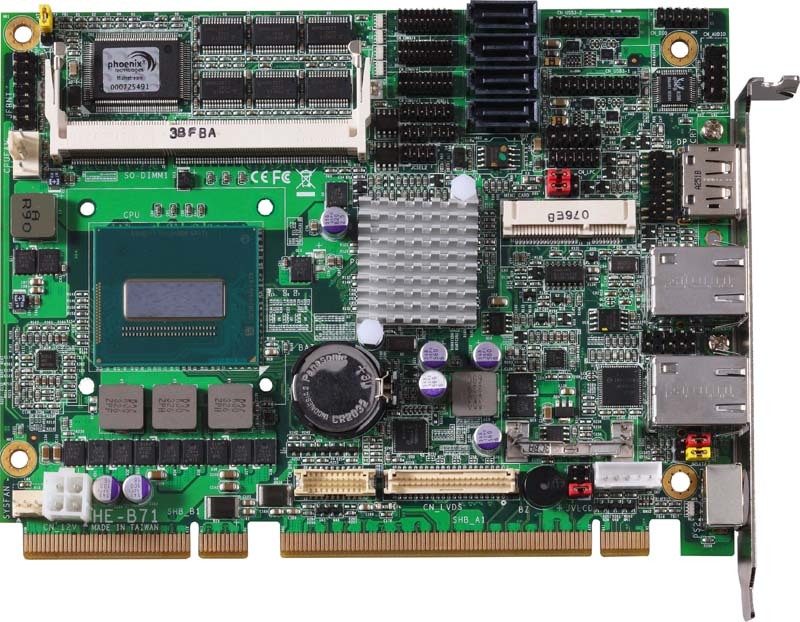 The COMMELL HE-B71 platform provides excellent CPU, graphics, media performance, flexibility, and enhanced security, is ideally suited to applications requiring multi-tasking capabilities, such as gaming, surveillance, medical, defense, transportation and industrial automation application. The HE-B71 Half-Size is designed for the 4th generation Intel® Core™ and Celeron™ processors in the FCBGA1364 supporting two DDR3L SO-DIMM up to 16GB and running 1333/1600 Mhz No ECC function. The platform is based on Intel® HD Graphics 4600 that provides high-end media and graphics capabilities for devices that display videos, 2D/3D graphics and interactive content. In addition, HE-B71 supports VGA, LVDS, DVI and one display port to provide its advanced solutions for imaging, machine vision and digital signage applications. HE-B71 offers lots of features including high-speed data transfer interfaces such as 4 x USB3.0 and 4 x SATAIII supported RAID 0/1/5/10, equipped with single Gigabit Ethernet with iAMT 9.0 supported, and it comes with PS/2 Keyboard and Mouse port, 5 x RS232 and 1 x RS232/422/485, 2 x USB2.0, Intel® High Definition Audio, and one PCIE Mini card socket. Onboard Intel® I217-LM GbE controller support Intel® AMT 9.0 feature on primary LAN port. The BIOS is ready to support Intel® AMT 9.0 feature. The necessary prerequisite is your CPU must support Intel® vPro technology, ex. i7-4700EQ. Audio: Realtek ALC888 High Definition Audio. 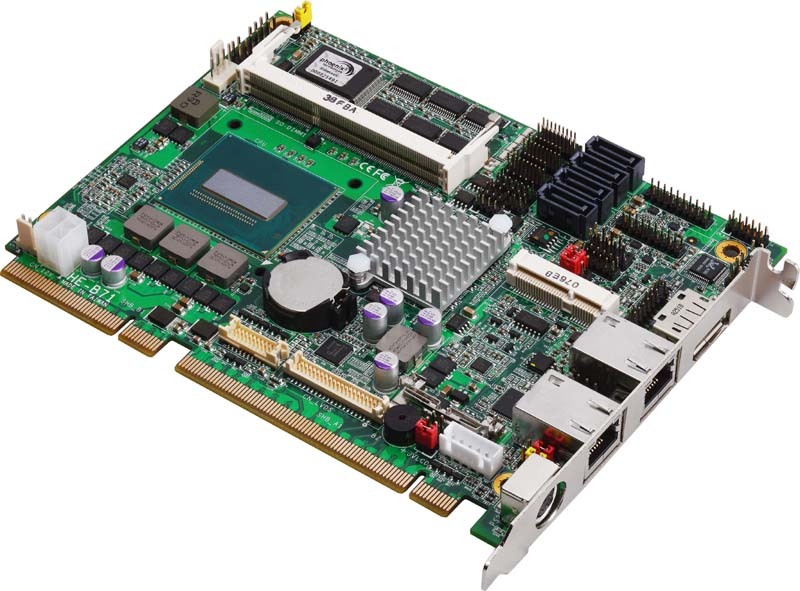 Extended interface: 1 x Mini-PCIe socket (Optional support mSATA, only for SATA3). i7-4700EQ Mobile Processor, Onboard CRT, LVDS, DVI, DisplayPort, SATA3, USB2.0, USB3.0, HD Audio ,LAN , SMBUS, LPC, SIM, GPIO, IrDA, PS/2, PCIe mini card, mSATA, Support 4 x PCIe x1. i7-4700EQ Mobile Processor, Onboard CRT, LVDS, DVI, DisplayPort, SATA3, USB2.0, USB3.0,HD Audio ,LAN , SMBUS, LPC, SIM, GPIO, IrDA, PS/2, PCIe mini card, mSATA, Support 1 x PCIe x4. HE-B7117P1 Celeron 2002E Mobile Processor, Onboard CRT, LVDS, DVI, DisplayPort, SATA3, USB2.0, USB3.0, HD Audio ,LAN , SMBUS, LPC, SIM, GPIO, IrDA, PS/2, PCIe mini card, mSATA, Support 4 x PCIe x1. 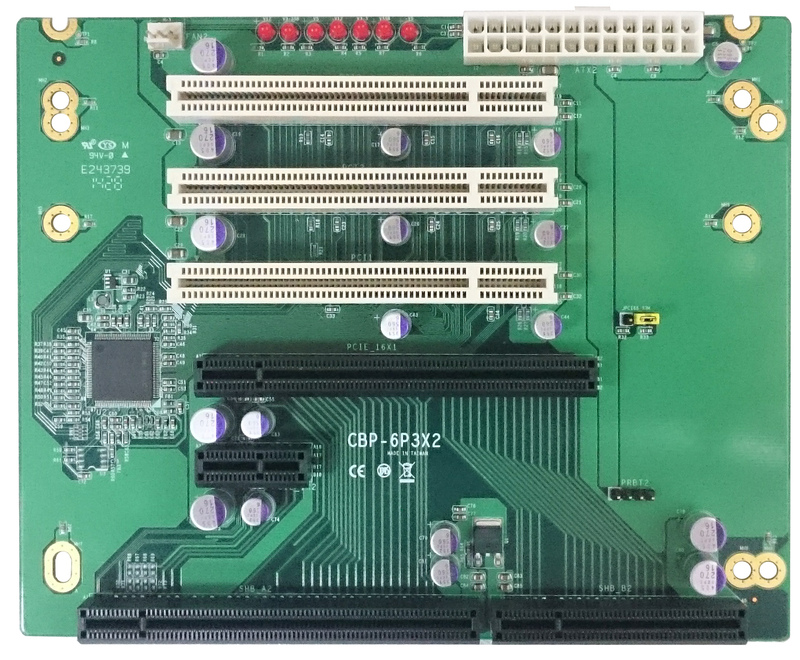 Celeron 2002E Mobile Processor, Onboard CRT, LVDS,DVI,DisplayPort, SATA3, USB2.0, USB3.0, HD Audio ,LAN , SMBUS, LPC, SIM, GPIO, IrDA, PS/2, PCIe mini card, mSATA, Support 1 x PCIe x4. HE-B7117Q1 i5-4402E Mobile Processor, Onboard CRT, LVDS,DVI,DisplayPort, SATA3, USB2.0, USB3.0, HD Audio ,LAN , SMBUS, LPC, SIM, GPIO, IrDA, PS/2, PCIe mini card, mSATA, Support 4 x PCIe x1. HE-B7117Q4 i5-4402E Mobile Processor, Onboard CRT, LVDS,DVI,DisplayPort, SATA3, USB2.0, USB3.0, HD Audio ,LAN , SMBUS, LPC, SIM, GPIO, IrDA, PS/2, PCIe mini card, mSATA, Support 1 x PCIe x4. HE-B7117R1 i3-4102E Mobile Processor, Onboard CRT, LVDS,DVI,DisplayPort, SATA3, USB2.0, USB3.0, HD Audio ,LAN , SMBUS, LPC, SIM, GPIO, IrDA, PS/2, PCIe mini card, mSATA, Support 4 x PCIe x1. HE-B7117R4 i3-4102E Mobile Processor, Onboard CRT, LVDS,DVI,DisplayPort, SATA3, USB2.0, USB3.0, HD Audio ,LAN , SMBUS, LPC, SIM, GPIO, IrDA, PS/2, PCIe mini card, mSATA, Support 1 x PCIe x4.